Earthpaint is shipped directly from our plants to your home or job site! NOTE: Expedited shipping must be checked in advance through email. ​Most but not all items can be expedited. Please, check first. Our Paint Store shipping policy page has more details. 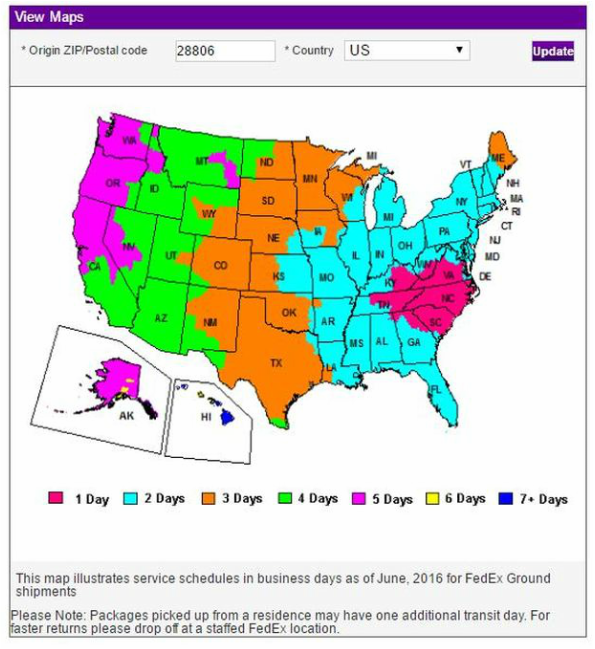 ​FED EX GROUND / HOME DELIVERY SHIPPING TIMES. This chart offers an estimate for how long a package will take to arrive in certain areas. Please, keep in mind that we need time to pack an order properly and that carriers pick up once a day. See our Terms and Shipping Policy for detailed information on shipping. *FED EX GROUND is for commercial addresses only. Please, do not select Fed Ex Ground if in a residential location. Otherwise, delays may occur. USPS PRIORITY SHIPPING TIMES. This chart offers an estimate for how long a package will take to arrive in certain areas. Please, keep in mind that we need time to pack an order properly and that carriers pick up once a day. Please, see our Terms and Shipping Policy for more information.